I specialize in providing you world class music and entertainment for your weddings, corporate events, lounge nights, and more! I don’t just play music at your wedding or event. I bring your friends and family together and help you create memories to last a lifetime. And I bring the kind of attention to detail and planning to the table that ensures everything will go smoothly, so you can just relax and have the time of your life. 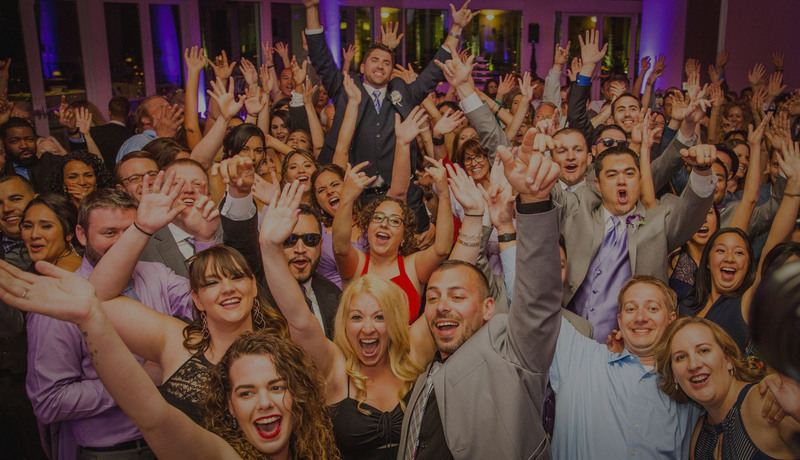 Not only do I provide top-notch musical ambience, but I have lighting effects and crowd participation activities that will leave your guests talking about your event for years to come. 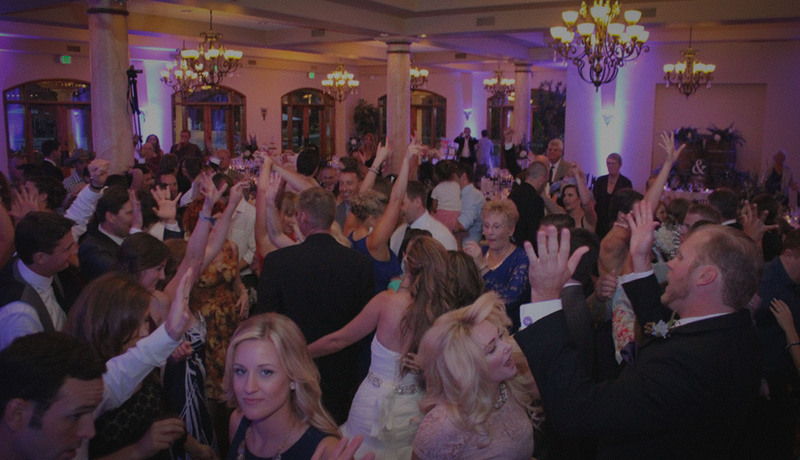 I am devoted to bringing you the best musical ambiance to your party, and making sure it’s as smooth, fun, and polished an event as possible. I love each and every one of my clients, and it shows in the spirit and fun I bring to their events. Don’t just schedule your event with me. Come meet me in person & let me get to know you and the music that’s right for you and your event! We were very pleased with your help and performance at our wedding. Thank you so much for all your help. 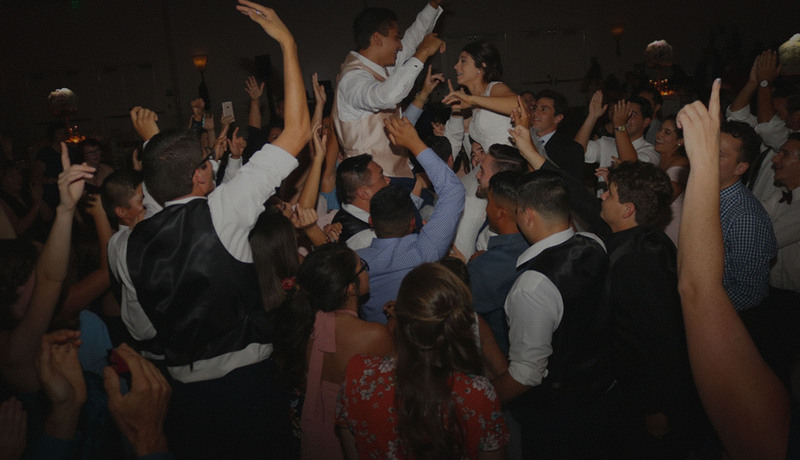 DJ's are so important to weddings in ensuring that people have fun and dance and you did so well reading the crowd and playing what they wanted. Our reception, cocktail hour, dinner and dancing went so perfectly. Everything was organized so well and you played the songs that kept the crowd going. I was comfortable with you from the first meeting and appreciate all your hard work for our wedding. Everyone was talking about what a great DJ you were. I was nervous because we had a very conservative crowd, but all the music choices worked perfectly! Thanks for a great job, we really enjoyed it. Mick Went above and beyond what is expected of a typical DJ. Not only was the music great, the way Mick kept us informed throughout the whole evening was helpful as well. We were very pleased and would definitely recommend Mick. The mix of music was perfect for a mixed crowd. Everyone enjoyed themselves. The upfront consultation was so helpful. You did a great job of giving us ideas and worked with our ideas as well. Everything worked perfectly together to make for a beautiful ceremony and lively reception. We wanted a party that everyone - young and old - could enjoy and you made that happen - Thank You! Mick, all I can say is you "rocked" it at our wedding. 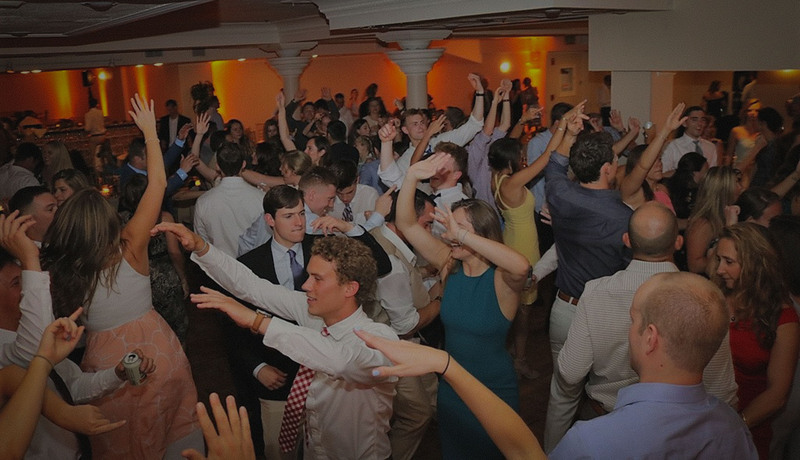 Everyone had such a great time, not to mention that dance floor was packed all night! People are still talking about our wedding at the fire station thanks to you!! We also really appreciate you going above and beyond for us, we love the CDs and will treasure them for a long time to come. Thank you for being so helpful and fun. Our wedding was a dream come true for us and you played such a crucial role in that. We will highly recommend you to all our friends and family!! Wow-thanks for making our wedding so fun. The music was just the perfect mix. Danny and I really appreciated how at the wedding you would check in with us and let us know what was coming up. You kept the day running smoothly so all we had to do was enjoy ourselves. The CD's of all of our music and recordings from the wedding are incredible. It is so neat to listen to our vows and toasts. Thanks again for a job very well done! Mick, everything was perfect. Your candor and professionalism were "elite". I appreciate everything you did to make our event perfect. You were wonderful! Mick, you were awesome! You played music to please all generations in attendance. Many people commented on what a great variety of music was played. We thought the flow was incredible and your organization made it so easy on us. You know how to make a good party great! Mick was very professional and very good at getting to know us and what we like. Beyond the music, you took charge at the reception and let us relax and enjoy it. Thank you again! Mick, everything was perfect! Thank you. You answered our multiple emails promptly, made sure that everything ran according to the timeline, worked well with all our vendors and clearly announced events. People raved about the music selection! Mick was the best! He made everything run incredibly smooth. We couldn't have asked for a better DJ than Mick. From the monthly emails, to the consultation, to the coordination of everything on the night and the CD of our ceremony...it was absolutely wonderful! Thank you so much Mick! You were fantastic. We loved you and our guests loved you too! 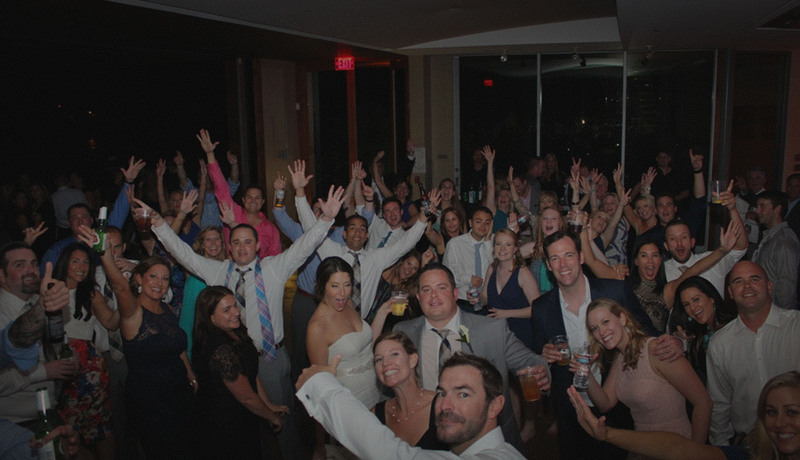 We couldn't have asked for anything better, you truly were the reason our reception was so much fun! Mick, you were an awesome DJ/Coordinator/Emcee at our wedding. You kept everyone dancing and had the evening of events flowing perfectly. We had so many comments from our guests about how much they loved our DJ! Thank you for everything, it was great to work with you. Mick made the evening!! You kept us informed, events flowing and people dancing. Amazing, awesome, fun..thank you! Mick, you were awesome! You worked so wonderfully with our unique music selections and the evening of the wedding you kept the whole event running smoothly. Everyone had an amazing time. I will definitely recommend you again and again! Not only do we love you but all of our guests did too! That was evident by the number of people dancing all night! Everyone had so much fun and I wouldn't have changed a thing about your services. Mick is tremendous! He is so good at what he does. Having Mick as our DJ, we knew that we could relax and enjoy our special day. There were people on the dance floor all night...including people that never dance. Great job Mick! Mick, thank you for helping to make our wedding so fun and memorable! Your energy really helped to keep the party going! 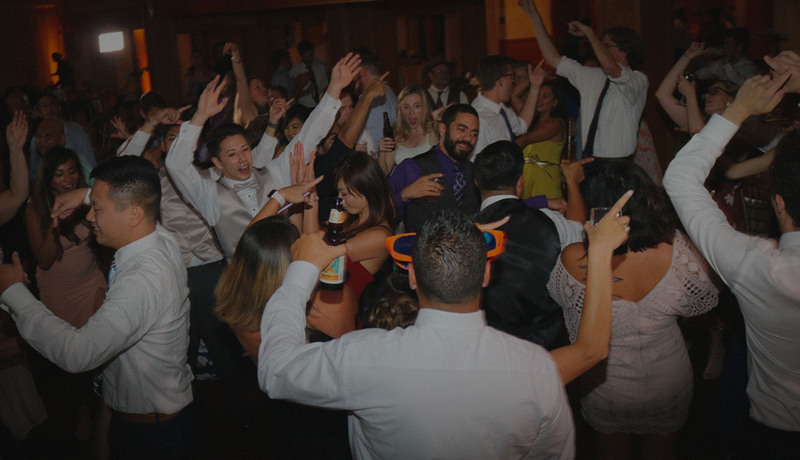 Our guests keep raving to us about how awesome the DJ was! Thank you for doing such a wonderful job at our wedding. The music selection was right on and everyone had a great time hanging out and dancing. Your music kept everyone around until the very end and helped end our night on a high note, thank you. Thank you Mick for making our reception such a success. You had such helpful tips throughout the planning and you had my 76 year old grandpa dancing the whole night! Mick was awesome, he made sure we heard the music we wanted to hear while keeping everyone young and old on the dance floor, Thanks Mick!!! A DJ to me is the most essential part of a reception. Mick did not disappoint. I had no coordinator, however Mick kept in contact with my husband and I throughout the night and ensured everything went smoothly. We had a lot of guests comment about how great the music was. We even had people that don't normally dance out on the floor! 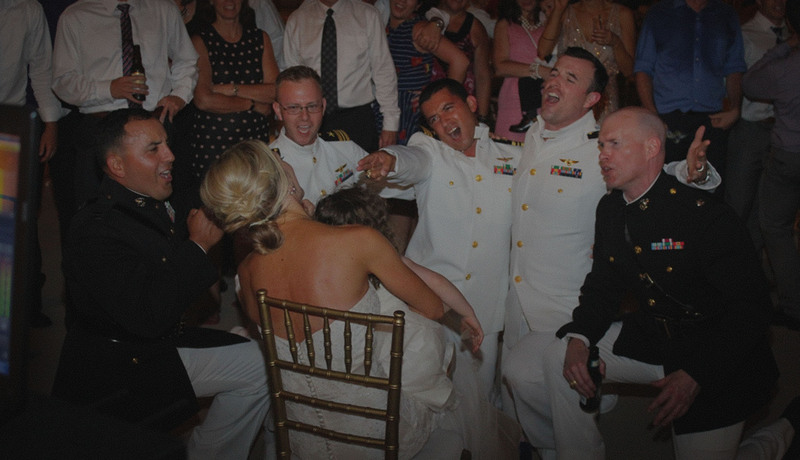 When he overheard the groomsmen talking about the song 'Tiny Dancer', Mick went ahead and put the song on without them even needing to request it! This song means a lot to my husband and his groomsmen and it got the whole group swaying and singing aloud. It was a priceless moment! I can't thank Mick enough for all his hard work! Thank you for everything. Mick was absolutely perfect, from the pre wedding selection, suggestions, finding out what we wanted to his performance at the reception. He read the crowd, kept things moving and fun without being intrusive. Several of our guests commented on how our DJ made it a show "about us, not about him" Thank you Mick for a perfect reception. An A+ does not even come close to capturing your professionalism and talent Mick!! You MADE our wedding and the guests are still talking about you, the music, the emceeing, the funny comments, all of it was perfect. You made us feel so comfortable and relaxed on what could have been a hectic and stressful day. You were clear with all announcements, which made the guests feel comfortable since they knew what was coming next and the music was PERFECT!! thank you so much for making our special day so much fun!!! Mick did an incredible job of selecting unique and original music for our various wedding events. he 'personalized' our wedding through the music and he listened to our music preferences and found amazing songs that fit our style. Most importantly, he made us feel like he really cared. He was so excited when he presented songs to us. I walked away with a new appreciation for music, while Bryan created a new list of favourite songs. During the wedding Mick was professional and very perceptive when it came to judging our guests music interests. Everyone loved Mick and people didn;t want to leave the dance floor. People are still talking about his ingenious 'Do Not Request' compilation. We can't wait for our next party, Thank You !!! We could not have been happier, bu far the best decision we made regarding our wedding. Our guests were raving that night and are still talking about the great music and the 'Cool DJ with the British Accent' Mick does a great job of making the music fit you! Mick was both a lot of fun and consumately professional. We were fortunate to have both he and Julie for the same event, so he helped out a bit on the planning side as well. We had a somewhat difficult audience for him, as our wedding and reception had two very separate and distinct generations, not to mention the completely non-conventional classical music choices for our opening and ceremony music. Mick handled all of the musical choices flawlessly, including our must play and do not play lists - just what was needed when it was needed. We would absolutely be delighted to hire Mick again for any event for which we needed a DJ! Mick - You were absolutely the best DJ we have ever had the pleasure of dealing with. The guests all had great things to say afterward about how much they loved your music and format. Thank you for everything, you're awesome! Mick was excellent to work with, He was receptive to our ideas as well as providing his honest feedback, which we very much appreciated. Considering he does tons of weddings, you can tell he cares about each one of his clients and takes the time to know the couple and their personality. We received so many compliments from guests about how great and how funny he was. We would definitely recommend Mick! Mick went above and beyond any expectations we had for a DJ. he was ALWAYS eager to help and answer questions. He helped us tremendously by ensuring all of our events had taken place so as to get adequate photographer coverage. Mick is the best and such a great person. You did a wonderful job at our wedding! From the moment we contacted you until the end of our wedding day you always made sure that not only music, but the entire wedding went smoothly. I know you helped other vendors as well and I appreciate it, thank you for everything !!! Guests danced from the middle of dinner until the last song. Mick does an outstanding job of reading the crowd and playing the right music to ensure a good time. Mick has a great sense of humour but is not over the top. He is the classiest DJ with the right balance of professionalism and fun. Mick - what can we say, you were wonderful ! We had so much fun working with you. It was great that you were abe to mix things up for our first dance "performance". We couldn't have done it without you. Also, I have to say, your lists, time line and organization skills made our evening that much easier for us. Thank You !! We wanted to thank you for helping make our wedding a success. We received lots of compliments from friends and family on what a great DJ we had. You were great at tayloring the music to the crowd, everyone was dancing all the way to the end !!! Mick you were awesome! You played great music and got the crowd into it. It was wonderful to have you there on our special day. You really personalized our evening and we received many compliments about you and the music. You definitely 'overdelivered' Thank you for proving to be the finest wedding DJ we could have ever hoped for. We plan to refer you to others and stay in touch! Mick, you did a PHENOMENAL job with our event. Our guests were just as impressed as we were with your professionalism and flawless execution (they are still talking about it !!). Mick, You rock ! You had everyone on the dance floor all night long! The event flowed so smoothly. I keep hearing over and over how much fun everyone had at our wedding. We didn't want the night to end! Thanks for making our night a blast, it was a dancing machine! Mick, we received so many compliments from our guests about the terrific job you did. Thank you so much for your attention to detail, professionalism and great sense of humor. We liked that you gave suggestions, but then let us decide. We found your suggestions helpful in giving us direction and as a result of the teamwork, the DJ part of the wedding was perfect. Thank You !! You were great, we loved everything including the lights, slideshow, monogram and of course the music !!! We couldn't ask for more! Mick, you can tell how much you love what you do as it shines through during your performance. You gave us great ideas and suggestions on things where we were lost. The flow of the reception was flawless. Our guests loved your sense of humour, enthusiasm and accent !! Thank you so much. Mick, you made our wedding feel like a party !! There was no cheese. People loved the 'Do Not Play' montage. You were so organized with the song selection process and your song selections were great! I love having the recording of my reception and song highlights, especially as I did not have a videographer to capture the speeches. Mick did an excellent job at our wedding, he is a real professional. He kept people dancing and involved the entire time. All of our guests had a great time! 100% class, control and great music selection. You guided the evening perfectly as emcee and kept us informed but relaxed, with Julie's help. 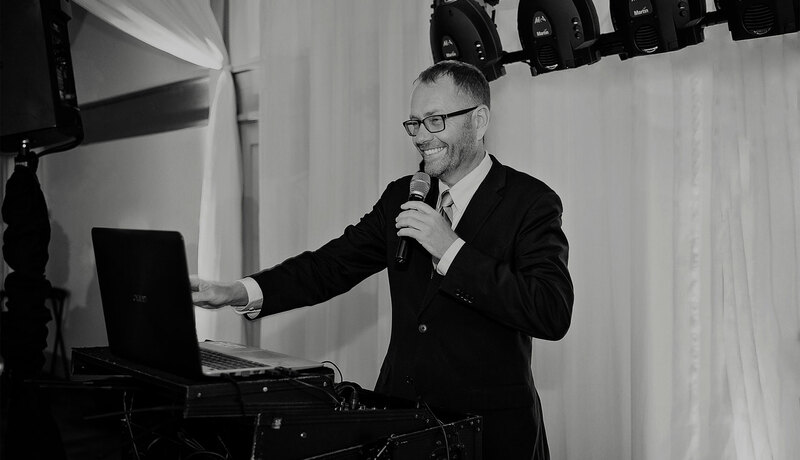 Mick was instrumental in making our wedding run smoothly, not only did he serve as an awesome DJ, but as a great Emcee as well. You did a great job with our wedding, Thanks for accommodating all of our odd requests, you made it all flow together perfectly! Mick you are a great DJ ! Loved the garter trick 🙂 Your smooth transitions between songs had compliments from our guests about you (all great!). We had guests who did not want the night to end! from our first meeting with you to now, you made us feel so comfortable and we had no doubt our wedding was going to be perfect ! You were professional, fun and in tune with our guests, please send anyone our way for recommendations!! Mick couldn't have done his job any better. he helped us with music selections before our big day and did an excellent job on the night. Mick is not only a great DJ, but is the only DJ we would recommend. Everyone commented that our DJ & Music selection was the best! Mick you rock! You were awesome from start to finish. You were great with keeping things rolling and letting us know what was happening. It was a perfect evening, everyone loved you Tim & I were just saying that when we throw a party, anniversary or whatever, you are definitely going to be the DJ. I knew at our first (and only I might add) interview that you were going to be fantastic. You far exceeded our expectations. Thank you for an evening we will always remember! Mick you were absolutely fantastic in every possible way. You far exceeded our expectations and were a huge part of making the evening so fun and memorable. I can't tell you how many compliments we received about how funny and fun you were. 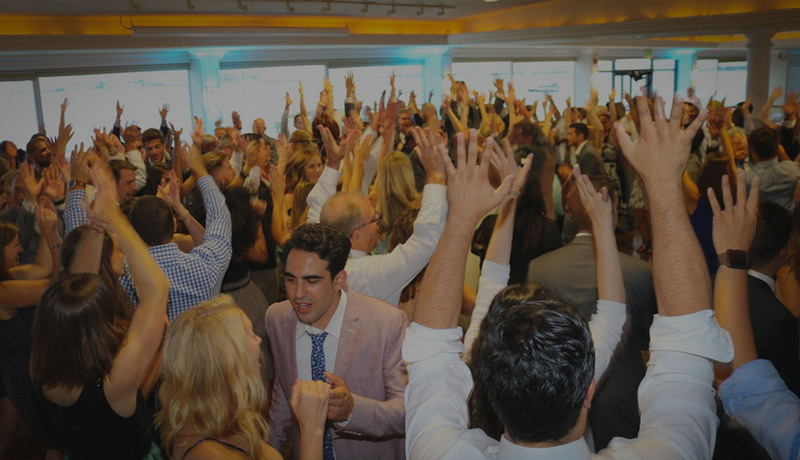 We thought we didn't have too much of a dancing crowd, but the dance floor was packed all night and several friends commented that they voted it the best wedding ever ! WOW. The immediate slide show and song list were so above and beyond, it was the best part of the day after the wedding, seeing immediate pictures,, we sent it to everyone we know ! THANK YOU!! Mick was professional and fun - The perfect DJ combination. Our guests are still (2 months later) talking about the amazing music selection and how well the ambiance was set by the DJ ! We couldn't have been happier with your services & Expertise! We are still hearing feedback from family and friends who attended that said you were the best DJ they had ever heard. Mick you were very enjoyable to work with ! I loved your organization, creativity & passion ! Everything about our wedding & Reception ran smoothly. I had no doubt you would be awesome ! Thank you for a wonderful memory !! . Mick was a wonderful Emcee. We had planned everything out before the day and Mick executed everything perfectly on the day. Our guests loved him too! Mick was a pleasure to work with, a true professional who takes pride in his craft. Mick - we are so lucky to have found you, from our first meeting you welcomed us so kindly. I have to say you did an amazing job. The uplighting was gorgeous and went well with all the decor. All the guests loved you and your British Accent ! 🙂 the music selection was so fun, upbeat and romantic, just the way we wanted it, you even found music that wasn't in your collection! Thank you for going above and beyond The wedding was a true success and the memories will be in our hearts forever. You are awesome, we love Elite British DJ ! Mick - You are amazing, I can't even count how many guests have gushed about the awesome job you did. Thank you so much, you made our wedding amazing! Simply put the most knowledgeable, professional and honest of any of the vendors we contracted for our wedding. I unreservedly recommend Mick ! Absolutely incredible,! Mick was amazing, he is so professional and friendly. His great sense of humor mashed perfectly with ours to create a super fun wedding. Equipment is state of the art with excellent sound quality. The Gobo looked great and the music choices were perfect. Pre wedding CD's made song choices fun and easy. Post wedding 'Surprise' was unexpected and over the top. Highly Recommended! P.S we were considering foregoing the whole 'big wedding' thing, but after meeting with you, your ideas sounded like so much fun that you inspired us to have the wedding we will always remember, and we will !!! Mick was truly extraordinary as DJ at our daughter Taryn's recent wedding and reception. 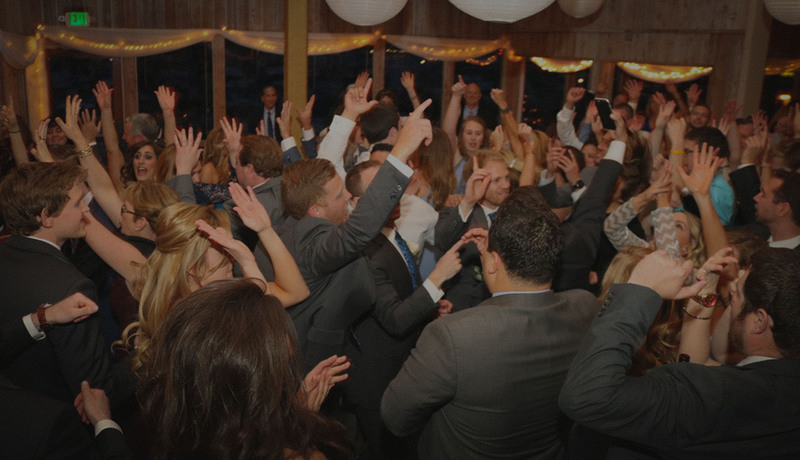 Music is enormously important to Taryn and her new husband Jason, and they worked it into all aspects of their wedding celebration. We cannot recommend Mick highly enough -- if there were ten stars on this rating he would get ten stars in all categories! Great sense of humor along with high quality sound and lighting systems, Mick had the entire room laughing and dancing all night long. Enough good things can't be said, just meet with him and decide for yourself, you will not be disappointed! Mick is an amazing DJ. He really cares about the energy and flow of your party - made our wedding amazing beyond words. 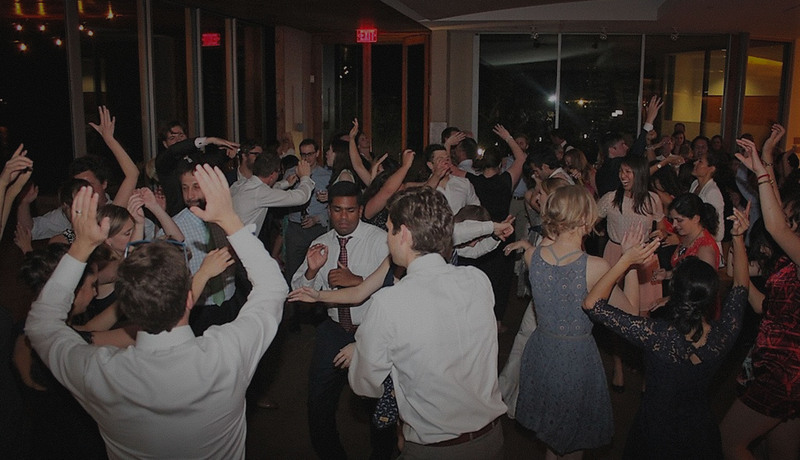 I've been to a lot of weddings and I've never seen people dance so hard and freely. 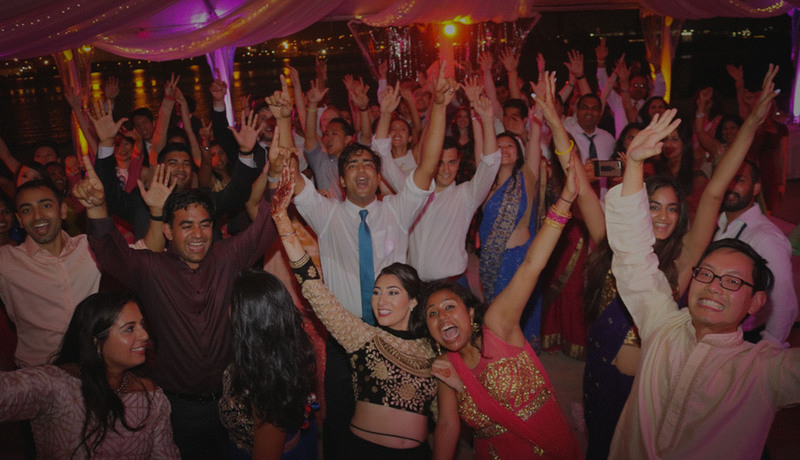 Look no further if you want to have a really fun, memorable wedding.